Many gymnasts at KGDC choose to pursue the sport of gymnastics as a competitive activity. KGDC is very active in Kansas and in Region III at all levels of competition. KGDC's gymnasts and coaches are members of USA Gymnastics and compete locally and nationally at various levels. Young gymnasts may begin competing at the age of six and enter USA Gymnastics competitions at Level 3. KGDC gymnasts compete at all levels, from Level 3 to the Elite Level. KGDC has become one of the top training centers in the area and the region. 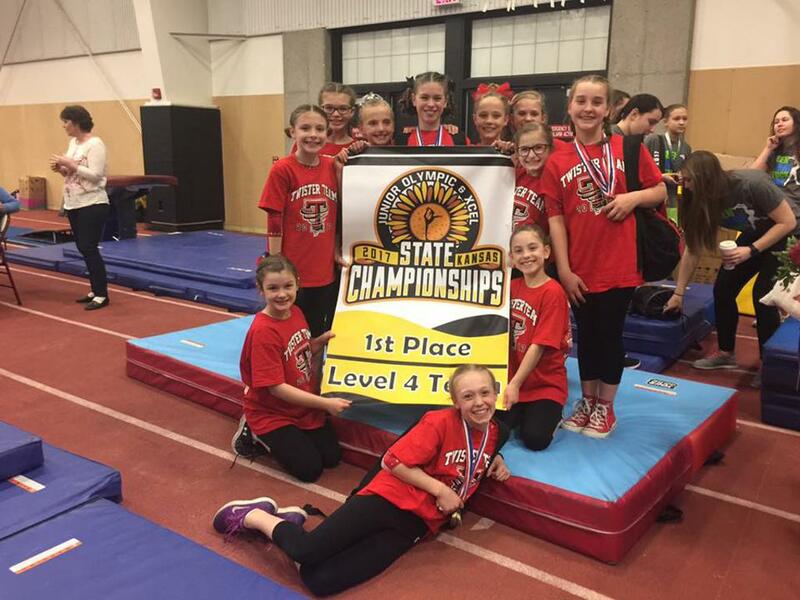 KGDC's Level 10 gymnasts have competed for the USAG Junior Olympic National Championships for the past 15 years. KGDC has placed 12 gymnasts in college with full ride scholarships...Amanda Peterson, Kara Charles, Jennifer Gleissner, Melissa Peterson, Audrey Mitchell, Tara Mitchell, Corrie McDaniel, Laura Rogers, Melissa Fernandez, Brittany Webster, Rachel Updike, and Courtney Mitchell. KGDC competes under the sanction of USA Gymnastics. For more information about our Junior Olympic competitive team, please contact James Sampel.